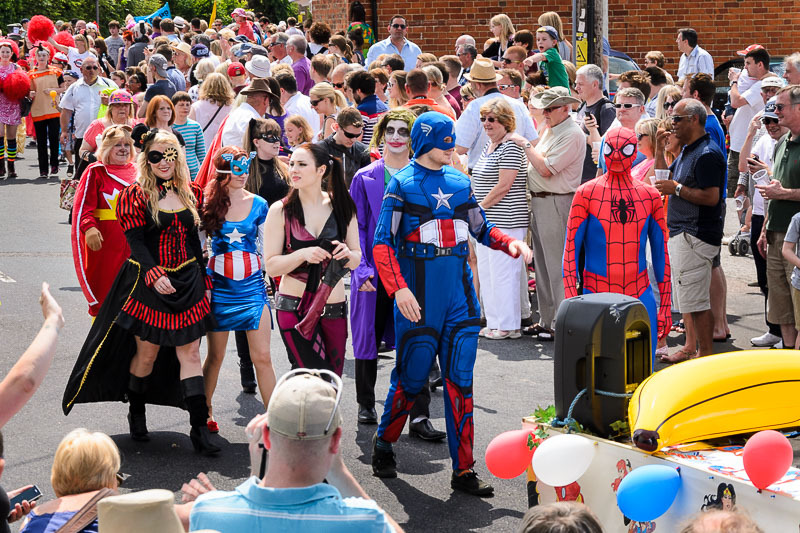 The Old Basing Carnival is a community parade with local groups dressing up in themed costumes, a marching band and horse drawn carriages. The parade normally starts at Linden Market (Linden Ave, Old Basing) and ends at the Old Basing Recreation Ground. 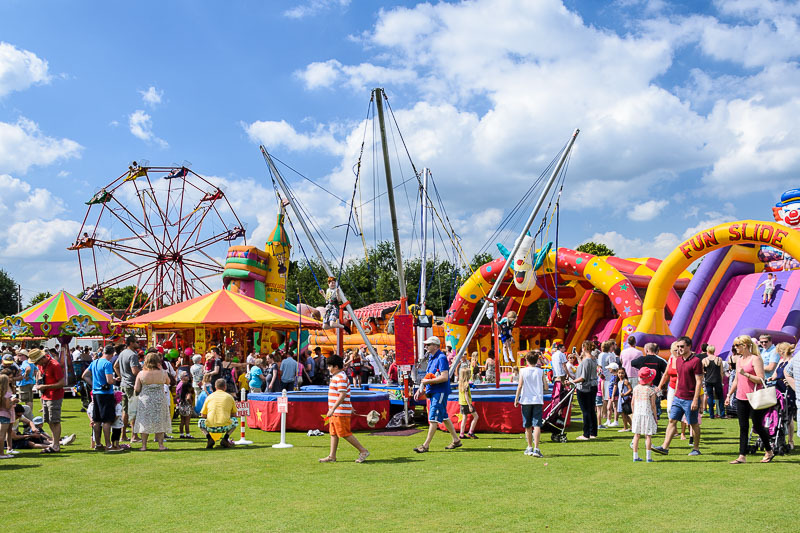 At the Old Basing Recreation Ground there are arena events and other attractions including: craft tents, vintage cars, a steel band, punch and judy, ice cream, tea tent, bar, BBQ, fun fair, side shows and much more. 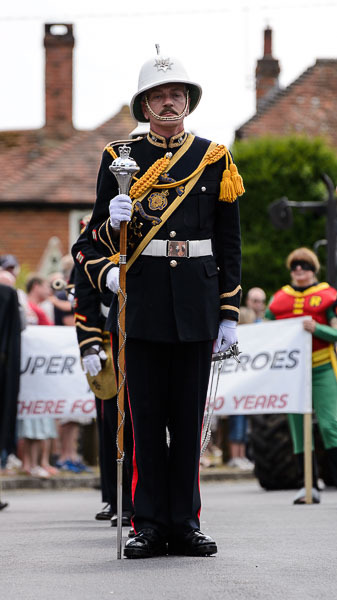 The photos show the themed parade, entertainment on the recreation ground and the Old Basing Carnival Parade band leader. 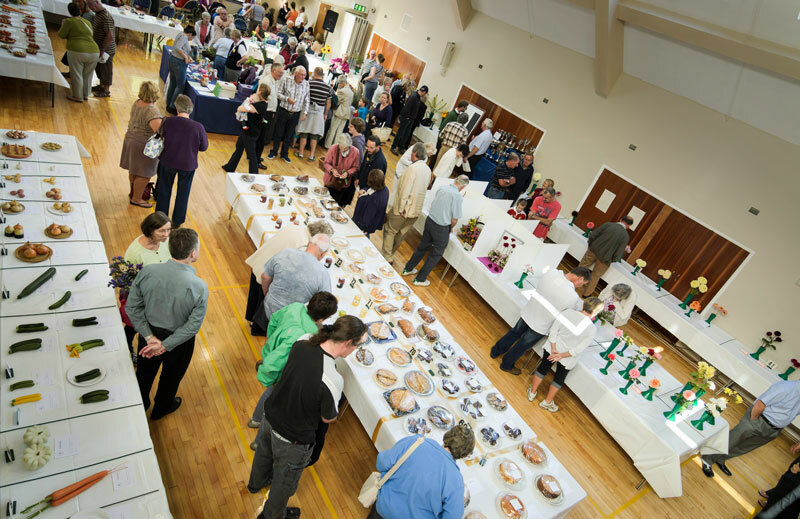 Old Basing & Lychpit Village Show is a display of parish grown and produced products. Garden flowers, roses, pot plants, fruit and vegetables all grown in the Parish. Together with flower arrangements, wine & beers, handicrafts, baking & preserves and a variety of children’s entries. It is a great event for showcasing a handicraft hobby you may have. The show is held at the Village Hall on a weekend (around September). For the exact date, show times, and details on how to enter the show please visit their website at http://www.oblvs.org.uk/. This is an event for all ages and all are welcome. Tea and Coffee is available, as well as lovely homemade cakes. You can even try your luck in the raffle! There is a small admission charge, please see their website for details.